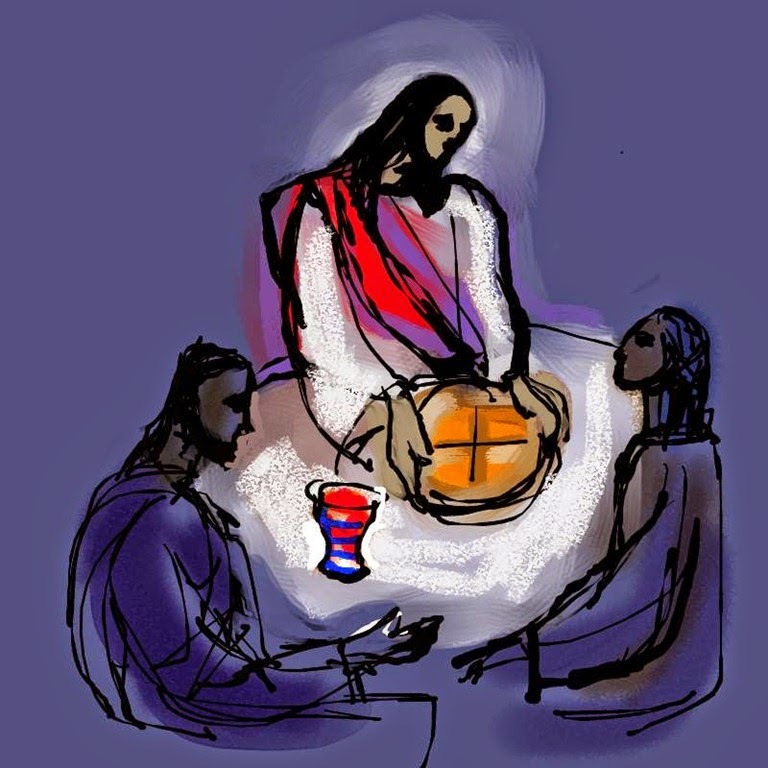 Does Jesus speak of ordinary, material bread or the Eucharistic bread? Is the Our Father neatly divided in two, the first part addressing things pertaining to God and the second part addressing our material needs? What is the correct interpretation of the mysterious word epiousion (translated as ‘daily’)? Matthew 6: Give us [the verb is in the aorist tense, signifying a one-time, completed event] today our bread, which is epiousion [daily? Meaning to be discussed below]. Luke 11: Be giving to us [the verb is in the present – continually] day by day [or, according to each day] our bread, which is epiousion. Since I am constrained by space and time, and since our English translation is based more on the Matthew version than on the Luke version, I will chiefly focus on the former. It must be stated at the beginning of our investigation that, as good Catholic exegetes, we have to understand the context and always keep it in mind. Jesus gives this prayer during the Sermon on the Mount. The obvious should be stated that the Our Father is Jesus’ prayer for his disciples, pre- and post-Resurrection. The prayer is for those who believe that he is the Messiah, the Son of God, and that he has risen from the dead. The recipients of the prayer have been sealed with the Holy Spirit, they also call God ‘Abba,’ and they are convinced that they already mystically belong to the Kingdom of Heaven due to their participation in the life of Christ. In short, the Lord’s Prayer is a prayer asking the Father to bring the Kingdom of God into the whole reality of the world – or, to bring the whole reality of the world into the Kingdom of God. Concerning the prayer as a whole, many divide the prayer into two sections: The first three petitions are concerned with God and His Kingdom, and the rest of the prayer addresses the earthly realm and our needs. The phrase concerning “our daily bread” is where this shift takes place, from heavenly to worldly cares. A dichotomy is therefore created. If we do interpret the prayer in this way, then the bread is seen in a purely materialistic sense. It is also on earth that we want God’s name to be hallowed, God’s will to be done, and God’s Kingdom to come – these realities are not in some abstract spiritual realm that ought not influence our lives here on earth; we ask that they take root here on earth too! Secondly, this kind of dualism does not accord with Scripture. The whole created cosmos have to enter the Kingdom of God: “For He has made known to us in all wisdom and insight the mystery of His will, according to His purpose which He set forth in Christ as a plan for the fullness of time, to unite all things in him, things in heaven and things on earth” (Eph 1:9-10). Finally, interpreting the second part of the prayer as asking for material needs for ourselves is in outright opposition to what Jesus teaches us in the rest of the Sermon on the Mount. Soon after the Our Father in the Sermon on the Mount, Jesus says: “Do not be anxious about your life, what you shall eat or what you shall drink, nor about your body” (Matt 6:25-26). Does it make sense for Jesus to tell them to pray for material bread and then to tell them not to pray for food? Now we turn to that mysterious word that has given many a scholar a headache. The understanding of the word epiousion in the context of the prayer, the Sermon on the Mount and the Gospels will bring us closer to the original meaning of this sentence. There are three possible interpretations of the Greek word. Sufficient, necessary, essential: The material bread that we really need to survive on a day-by-day basis (hence the word “daily” in the English translation). And so the meaning of the phrase: Give us this day the bread that we need to survive. More than essential, supernatural: epi literally means over or on, and ousios means being, substance, existence, essence, or nature. Putting these together, the phrase can mean: give us today our bread that is super-essential; the bread that’s more than necessary; the super-substantial bread; that belongs to another realm of being. If we take a closer look at these three options within the proper context, it is clear that it cannot be just ordinary bread (“do not be anxious for the food you eat…”). The second and third interpretations, together, fit best with the Sermon on the Mount and Jesus’ other teachings in the Gospels. The true bread that we should ask for is identified with the Word of God (Matt 4:4) and anyone who knows the Scriptures will identify the Word of God with Jesus himself. Jesus is the bread of life come down from Heaven (cf. Jn 6). As we bring all of this together, the first part of the prayer’s meaning is: give me to eat now the living bread that has come from heaven, Jesus, the Eucharistic bread of the age to come, where your Name is already holy, where your kingdom has already come, and where your will is already being done. It will certainly enrich our experience of praying this prayer in English if we keep these fascinating points in mind. I know it has for me.